Be an Avon Representative for FREE! 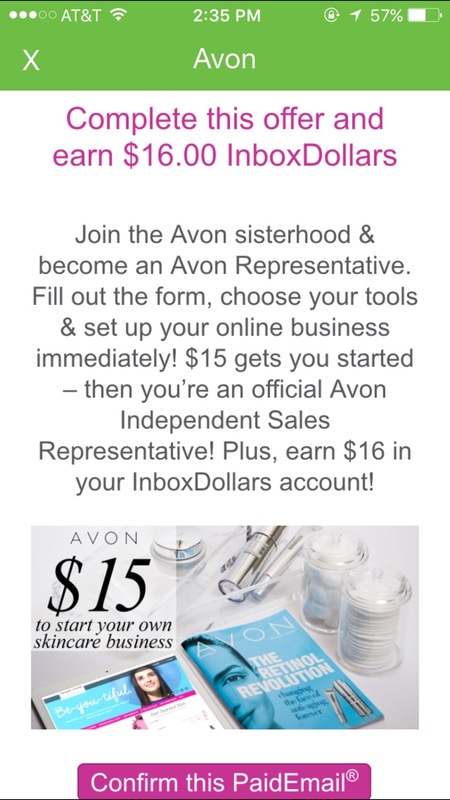 Avon Representative enrollment costs $15. Inbox Dollars pays you $16 to sign up with Avon and you get a box of goodies, technically for free! I was skeptical at first, and doubted Inbox Dollars before I could take any “free offers” from their website. My first one was RED Card from Target, Inbox Dollars paid me for $2.75 for signing up for a RED Card. Now I am saving 5%-10% every time I shop at Target. Note: Avon Representative enrollment is NOT a discount membership, it means you become an independent Avon product reseller. But you do get perks as a reseller. And now, Avon. Before I signed up for Avon, I looked up their products and its prices. They were affordable, not crazy expensive and they have many products too, not limited to cosmetics alone. It took 3-4 paid e-mails from Inbox Dollars before I really decided on signing up, and then I did. I searched for active Avon Representatives and I signed up under Emily Seagren, she was on the front page of the Avon Rep website. You WANT to be in an active team so that your team members can help you run the business. 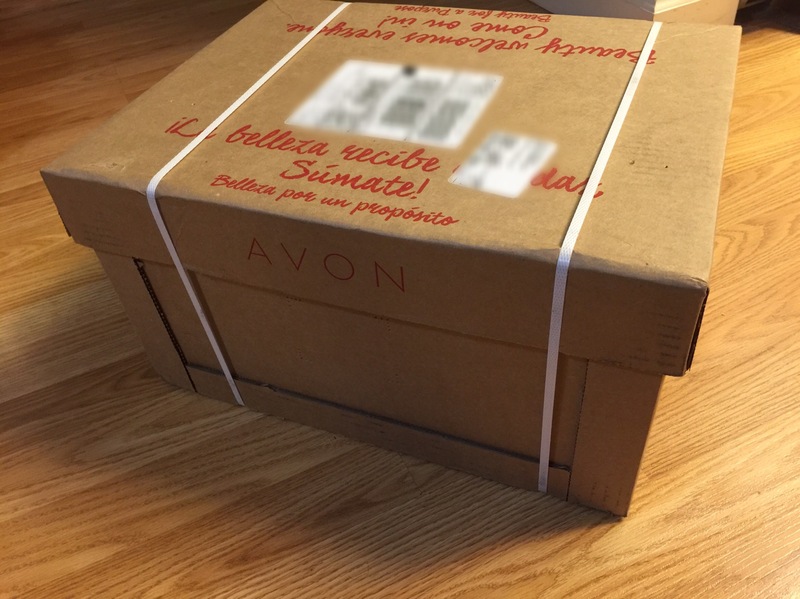 A week after or so, my box of Avon goodies arrived. And they were FREE. 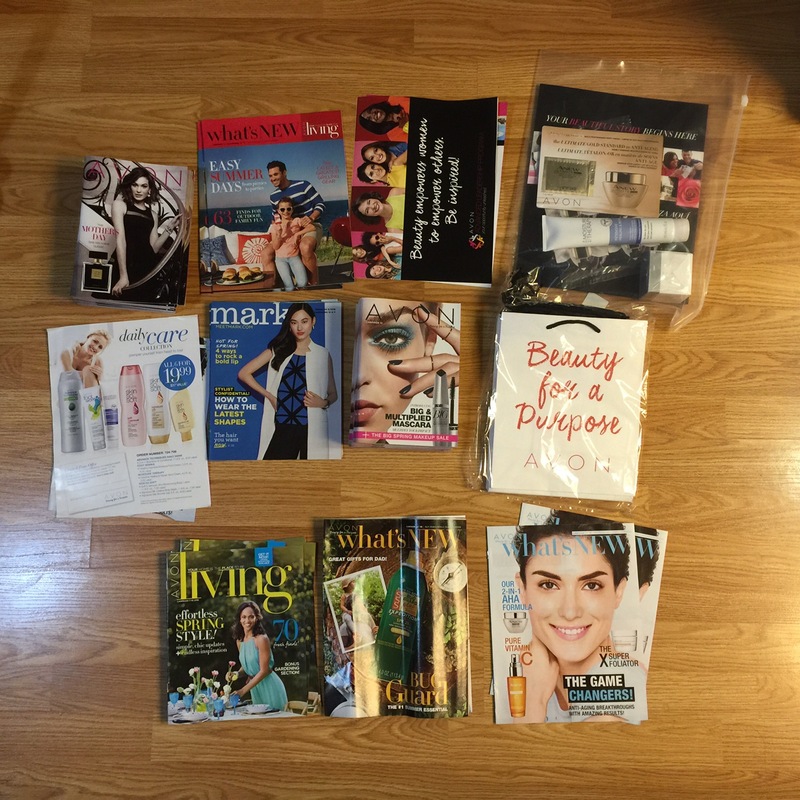 A few product samples and lots of magazines, brochures and paper bags to get me started selling. I am very much familiar with network marketing and direct selling. I am with Rodan + Fields and VMobile (Philippines). Adding Avon to my business could be a good thing as their products are not as expensive as Rodan + Fields. I am going to do all three and I will continue to update everyone of my progress. Meanwhile, I like freebies so I am sharing Inbox Dollars with you! If you want to join Avon for free, you can do it by joining Inbox Dollars. Remember, Inbox Dollars gives you $16* for a $15 Avon Rep Enrollment, you get $1 back. Also upon sign up, Inbox Dollars gives you $5 just for trying out their service. *$16 will be credited to your Inbox Dollars within a few weeks. Not immediately. I will post and update below when I get my reward! See video below on how to sign up for Avon for free AFTER you’ve signed up for Inbox Dollars. Previous Post: #44 What Are Your Favorite Stuff?